Vickie Y sharing a whimsical card using the Cheapo Dies Exclusive Toadstool die! I wanted to give the top of the toadstool some dimension so I die cut 2 from red cardstock and then used a pencil to trace around the die on black cardstock and fussy cut. Layered the black fussy cut piece, then a red die cut, then anther layer of black and then final red die cut on top. Then, layered each die cut to create the toadstool...the stem,then put dimsensional tape on the layered top to adhere over the top of the stem. 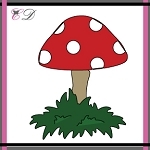 To complete the die cut placement placed dimensional tape on the grass and adhered to the bottom of the toadstool. (See card for placement of the die cuts). 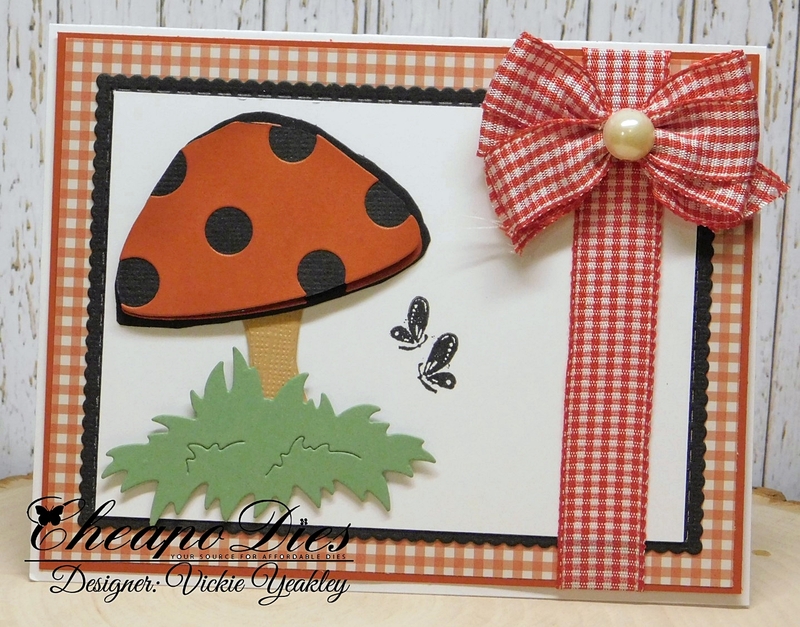 Absolutely adorable card using the 'toadstool' die...love the added gingham too! !